There is a MASSIVE difference between masculine masonry and non-masculine masonry, at least in the United States!! Annie Besant and friends turned co-freemasonry into a way to indoctrinate people into new-age-thought (“theosophy”). 7 theosophists joined co-freemasonry, re-wrote the ritual so that it would summon the theosophical ascended master “the Count de Saint Germain”, and started most of the co-mason lodges in the US. They infiltrated any co-freemason lodges that they did not found. Every lecture in co-freemasonry seems to be more about ‘karma’, ‘life lessons’, ‘the 7th ray’, ‘ascended masters’, ‘the heart center’, ‘reincarnation’, and any other new age belief. The only masonic thought is that which was accidentally left in the ritual after it was re-written and re-packaged. That’s the first massive difference. The second massive difference is most co-freemasonry is FRENCH ritual. Not the English Scottish Rite ritual that most women’s fathers or husbands practice. Third – co-freemasonry has ZERO connection to real political power. So it is devoid of the practical curriculum delivered via pieces of architecture in rituals. WHY IS IT THAT MASONIC WOMEN WANT TO IGNORE THESE FACTS??? WHY DO WE PRETEND THAT NOTHING IS WRONG, AND ALL IS WELL AND PERFECT WITH THE WOMEN/FREEMASONRY SCENE???? It’s as if it’s more important to be pretend masons that real ones. I don’t want to be a goddamn pretend new-age mason!!! I don’t want to be treated like a half-person who needs all their oaths and masonic business theoretically validated via a male-masonic relationship like in Eastern Star. I do not want to be a masonic wife or masonic daughter who spends hours cooking and babysitting, only to be RIDICULED behind closed doors with masonic lectures about how male brains are superior. Yes, that sounds harsh. But the reality is, black men are WAY ahead of women in terms of practicing REAL freemasonry. It’s because they never had to deal with ‘fake’ Eastern Star, ‘fake’ co-freemasonry, and were never living as a vicarious freemason through other people in their family like husbands and fathers. I am SICK of the status quo. Let’s see it for what it is. The first step to change is identifying the problem!! Not ignoring it!! While I agree wholeheartedly with you, the issue is, what do we do about it? I’m glad someone seems to have gotten access to a bit more of the Le Droit Humain substance. I’d love for a man who “dabbled on the dark side” to come forward and explain the differences in practice. I’ve had my reservations about such a group simply because of the lack of need for a higher power (doesn’t a lack of one interfere with the traditional concept of a Masonic oath?). Joining a co-masonic body or women’s Freemasonry while having strong Masonic ties would be a bit of a risk anyway, but I’d rather not chance it without some clearer information. I’m very angry with the system at the moment. My family is old-blood Masonic (my great-great-great-uncle’s given name was Hiram, my grandfather was a Grand High Priest in Royal Arch, and I’m fifth generation OES… so it’s not a new concept. ), but while working to start a new OES chapter someone mentioned that they thought the Order should be opened up to non-Masonic affiliated women — “just like they did with Job’s.” I didn’t know they’d done that for Job’s Daughters, and I cried off and on for three weeks straight. I’m still torn up. Later I learned that in Australia OES had already done the same. It’s not that I think we should be exclusionary — I want everyone to have what we have — but I was raised that my role was to bring men to Masonry (which I did with my boyfriend) and to have Masonic children (so my daughters could be in Job’s). I feel like they’re divorcing us and tearing the literal “family” of the Masonic Family apart in the process. What incentive do women raised like I was have to bring men to Masonry if not for our children? Yes, our men can benefit and do, but it’s just not as imperative. It’s so ingrained in my identity that I am a “Masonic Woman” that I feel physically sick at the thought of my affiliation suddenly becoming a footnote on a petition in a filing cabinet somewhere. My role and my identity just don’t seem to be valued anymore, and I can’t stand on my own as a Mason without huge risks (I’ve heard of women being expelled from OES and I’d be scared any of my Masonic relatives would be brought up on charges for tolerating my clandestine behavior). It probably sounds like I’m anti-feminist. I’m not, Masonry is literally the only thing I’d even think about taking this role in, but the role is changing in a way that is becoming intolerable. I thought maybe Le Droit Humain would be an option for some cosmic validation (assuming they’d have discretion about my membership and not tear apart the things I’m holding onto) but I can’t make that leap without some prior knowledge that it isn’t just a poor copy of something I care so deeply for. 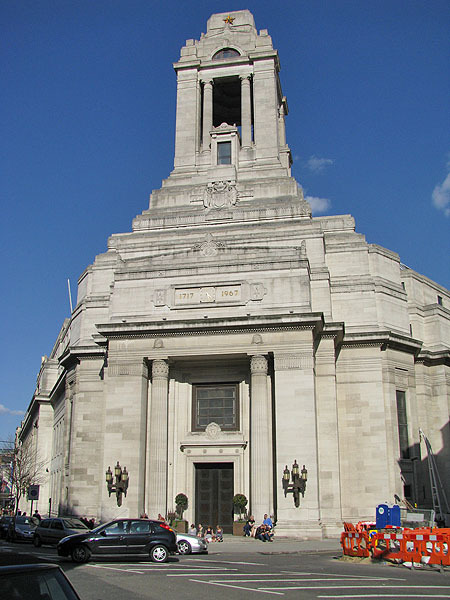 I don’t know if you ever are on Reddit, but there are some co-Masons at http://www.reddit.com/r/freemasonry that may be able to answer some of your questions. I’m not really, but I’ll look there. Thank you, and if nothing else I appreciate the opportunity to vent a bit. It’s nice to have someone on the big, wide internet who looks at Masonry from a woman’s point of view. Of course! Let me know if there’s anything I can do to help.